Within Teamwork Projects you can bulk edit tasks from the breakdown view which can be found in the overview section of your project. To do this select the Overview section of your project and then choose the Summary tab. You will then see the option for breakdown to the right of the screen. The breakdown shows the total number and proportion of active tasks that are assigned to each person on the project. You also have the option here to switch from a breakdown of active tasks to a breakdown based on estimated time. 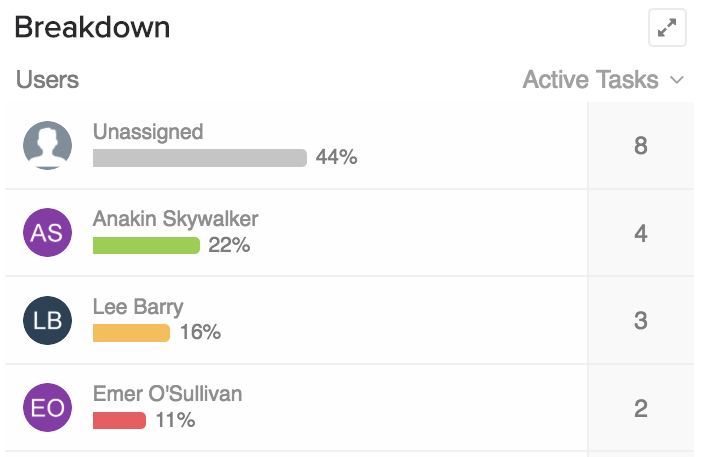 To bulk edit tasks, click on a users name directly from the breakdown. When you select a name directly from the breakdown a window will appear to the right and you will have an option to bulk edit the tasks along with sort options. When you choose the bulk edit option, you will have the option to choose what tasks you wish to edit from a list and then what changes you would like to make to them. 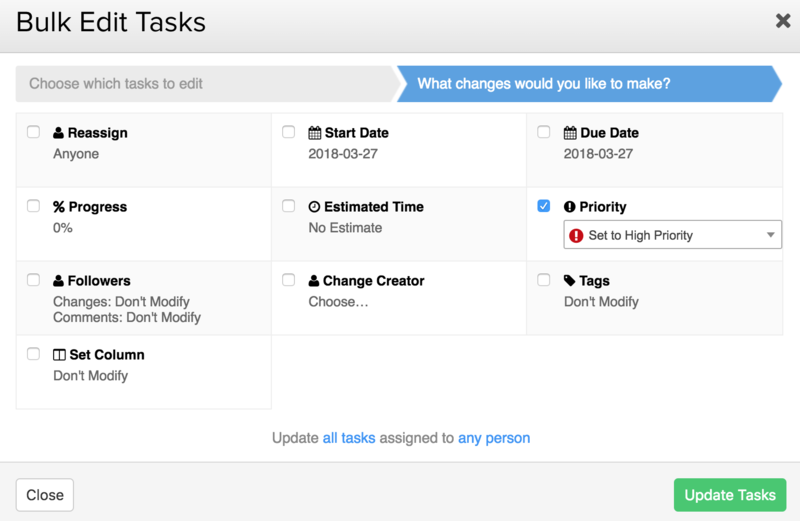 Once you have selected your changes you can then choose Update Tasks to apply your changes.